To study, visit, or research at the College of Engineering you need to have the appropriate visa for your purpose. The following visa types are commonly needed for foreign students or researchers at the CoE SNU. 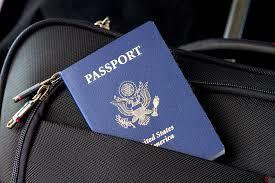 Required documents vary according to the consulate in the country you are applying for your visa from. It is therefore important to contact us and explain your situation so that we can help you better. For those who wish to pursue language training programs at a university-affiliated language center for a period of time in Korea. More information is available under Korean class section (hyperlink). For students who are in transition from D-4 to D-2, one must complete the language training before the semester starts in either March or September in order to switch visa. D-4 visa holders can NOT study at a degree-seeking program. Those seeking temporary employment such as short-term entertainment, advertisement, fashion model, lecture, research or technical training, etc. The F-3 visa is for spouse and unmarried children (under 18 years of age) of a student or scholar holding D-1 to E-7 visas (except D-3 Industrial Trainee visas). They must apply for their respective visas at the Korean embassy/consulate office in their home country. Chinese nationals must submit a resident card, marriage certificate, or census results.